Do you have a friend or family member who is anticipating a stay in the hospital or who has recently been admitted? Sometimes the hardest part of the experience is transitioning back home once you are on the road to recovery. Coming home can feel overwhelming, especially if you still have a lot of healing ahead of you. As part of your loved one’s support network, you can help them manage physical and emotional stresses just by being available when they need you. But sometimes it’s difficult to know the best way to help. Not everyone wants to socialize when they are still experiencing pain and discomfort from an injury or illness, and not everyone feels comfortable asking a friend to run errands or do the dishes. Still, there are many ways you can let your friend or family member know that you are there for them as they navigate the healing process. It’s important to be be sure you aren’t intruding on personal space when someone feels most vulnerable. 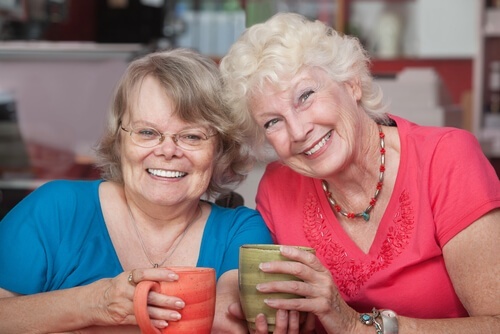 Depending on your relationship, however, providing personal care and assistance with chores and errands can help your friend feel cared for and encouraged. Emotional support is often just as important for a healthy recovery as physical support. Many people experience emotional distress related to an injury or illness, and it is comforting to know that someone cares. Just sharing the same space with your friend can communicate to her that you are available and that you are walking through the hardship with her. If she wants to talk, take the time to listen intentionally. Your friend may be experiencing anxiety about her future or frustration at her inability to do the things she wants to do. A listening ear can help her process those emotions in a healthy way. Distractions can be a great way to give your friend something to focus on other than her discomfort. Tell her stories about what’s happening with the people she knows and make her smile with humorous anecdotes. If she enjoys games, sit and play cards for a while. Read with her, pray with her, or play her favorite music to help center her thoughts and emotions. Most importantly, let her know she is not facing the long path of recovery alone. There are times when your friend or loved one may need more help than you can provide. If she is confined to bed or can’t walk without assistance, professional help may be the best option. Here are a few ways you can broach the subject. Let your friend know you are concerned for her. If you see that she is struggling, tell her you care and ask her if she is able to do essential things like get to the bathroom, take her medication, and eat when she needs to. Ask her if she has enough help. She may be receiving help from other friends or family members, so don’t assume she needs more help than she does. Instead, ask her if her meals are being taken care of and if she has someone to take her to doctor’s appointments. Gently suggest additional care. 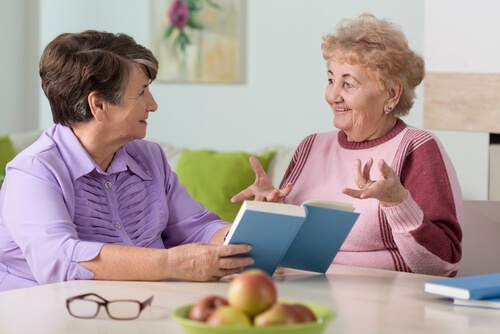 Your friend may not immediately be open to the idea of having a caregiver come into her home, but if you think her basic needs aren’t being met, it may be time to talk with her about her options. If you or someone close to you has ever needed a caregiver, tell her about your experience. Let her know that she can remain as much in charge of the process as she wants to be, and help put her fears to rest about having someone come into her home. Help her research her options. Choosing a professional, competent caregiver service is vital to ensuring that your loved one has a positive experience. Help her research agency options to find one that prioritizes client experience, screens caregivers carefully, and delivers only the highest quality care. You may even offer to interview agencies for her if that feels too overwhelming as she deals with her illness or injury. Ask questions about how the agency screens their employees, what training they require, awards they have won and how they ensure a positive relationship between caregivers and clients. No matter how much or little extra assistance your friend or loved one needs, knowing that you care can make all the difference. If you think he or she would benefit from a professional caregiver and you would like to know more about the advantages of home health care, please give us a call!